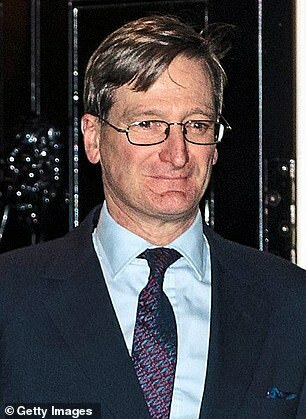 Commons Speaker John Bercow secretly met Tory rebel Dominic Grieve just hours before throwing out centuries of tradition to allow the MP to scupper Theresa May’s Brexit plans. 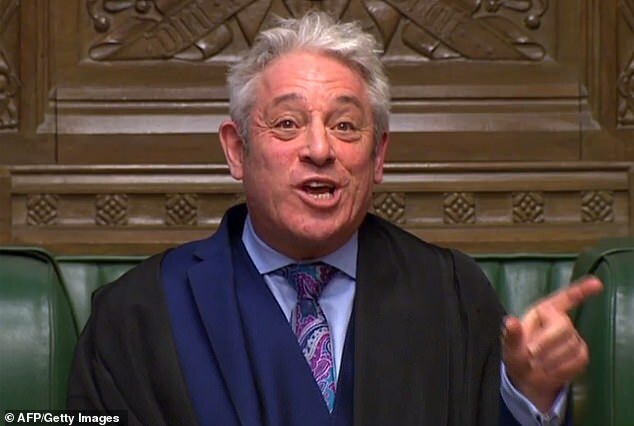 The pair spoke in Mr Bercow’s grace-and-favour Commons apartment the day before the Speaker tore up the rule book to allow the former Attorney General to table an amendment to wrest control of Brexit from the Prime Minister, The Mail on Sunday can reveal. His amendment led to the Prime Minister’s second major Commons setback in 24 hours. Now even No 10 is warning that the Prime Minister could be ousted as soon as Wednesday if she suffers another heavy defeat over her Brexit deal in this week’s crunch vote. Downing Street said that a vote against her on Tuesday would plunge the country into chaos – with a General Election held within weeks, costing many Tories their seats. The blood-curdling ‘Armageddon’ threats are part of last-ditch efforts to save the deal Mrs May struck with Brussels. Conservative Party chairman Brandon Lewis said Britain was facing ‘Brexit paralysis’ if her plan was rejected by MPs. Rebel Tories have been warned that forcing a defeat could lead to one of two ‘nightmare scenarios’. Either pro-Remain Tory MPs join forces with Labour to compel the UK to stay in a customs union with the EU; or Jeremy Corbyn moves to bring down Mrs May with an immediate vote of no confidence. Either way, it could lead to a crushing General Election defeat within weeks unless they fall into line, whips say. Mr Lewis told The Mail on Sunday that a ‘Brexit bunfight’ would ‘open up between those who want a second referendum, an extension of Article 50 or a Norway-plus deal’. Amid growing alarm in No 10, this newspaper can also reveal: Hopes are fading for significant assurances from Brussels over the hated Northern Ireland backstop, with expected interventions from EU Commission president Jean-Claude Juncker and EU Council president Donald Tusk tomorrow likely to fall far short of the demands of hardline Tory rebels; Mr Grieve’s local party chairman was bombarded with demands for him to be replaced as Beaconsfield’s MP; Mr Bercow faces the threat of ‘strike’ action by MPs, amid calls for him to be denied the peerage customarily given to Speakers once they step down; Crisis Foreign Office meetings have concluded a delayed Brexit is now the most likely outcome; Jeremy Corbyn’s most senior advisers were at war over whether to call for a delay to Article 50, as the Labour leader said he would set out his ‘vision for Government’ on Wednesday’; Former Brexit Secretaries Dominic Raab and David Davis are planning a joint appearance on the day of the vote to demand that MPs reject it; Hi-de-Hi! star Su Pollard confronted Mrs May at a Downing Street drinks party over her Brexit strategy. Mr Grieve was spotted leaving Mr Bercow’s Commons residence on Tuesday – the day before he joined forces with Labour, the SNP and the Liberal Democrats to defeat the Government. The vote means Mrs May will now be forced to set out her ‘Plan B’ within days if her Brexit deal is rejected by the Commons, as widely expected. 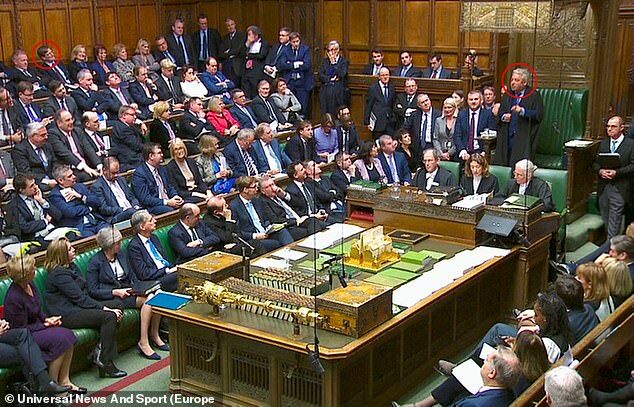 Pro-Brexit MPs accused Mr Bercow of overriding the advice of his officials and ignoring his duty to be impartial. Mr Grieve, who has described a No-Deal Brexit as ‘national suicide’, admitted visiting Mr Bercow on the eve of the drama but denied having ‘suborned’ the Speaker into accepting his amendment. A spokeswoman for Mr Bercow confirmed he met Mr Grieve but declined to say what was discussed, saying: ‘The Speaker meets MPs from both sides of the House and from all parties on all manner of things. Meetings with parliamentarians are private and we do not comment on them.’ But the spokeswoman insisted that decisions on amendments were made ‘on the day of the business in question and released or announced that day’. No 10 has been trying to manage expectations about Tuesday’s vote by claiming that any defeat by fewer than 100 votes would be counted as a good result. The Mail on Sunday understands Mr Juncker and Mr Tusk will each send a separate letter designed to reassure MPs over the backstop tomorrow. But the correspondence is likely to fall far short of the demands of Tory Brexit rebels, who want the EU to drop the contingency measure altogether. Mr Juncker’s letter will vow to ‘expedite’ trade talks between the EU and the UK to try avoid the controversial ‘backstop’ measure ever being triggered. Meanwhile, Mr Tusk will reiterate that the 27 other EU countries all have a ‘firm determination’ to have a new relationship with Britain in place by the end of 2020 to avoid the measure kicking in. He will add that if the deal is not ready by that point, all European states will work to have it signed by 2021 at the latest – meaning the UK would only have to shadow EU trade and customs rules for an additional year. On Tuesday, former Brexit Secretaries David Davis and Dominic Raab will put aside weeks of sniping and leadership rivalry to reaffirm their opposition to Mrs May’s deal in a joint rally in Westminster for the hard-Brexit Global Britain Group. Our front page revelation that Dominic Grieve secretly met John Bercow just hours before the Speaker allowed his killer amendment will add to the sense among Brexiteers that Mr Bercow is on a personal mission to thwart the UK’s departure from the EU. And it will increase the pressure on Beaconsfield MP Grieve from his local association to stand down – with one member telling this newspaper last night he would ‘hurl rotten tomatoes at him’ if he tried to run for election again. 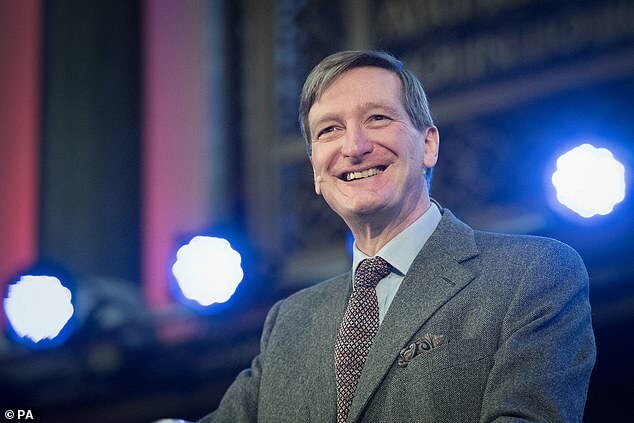 Seventeen Tory rebels, including Mr Grieve, joined Labour, the SNP and the Liberal Democrats to defeat the Government on the Grieve amendment by 308 votes to 297 on Wednesday – Mrs May’s second Commons defeat in 24 hours. It means the Prime Minister will be forced to table a motion setting out her Brexit ‘Plan B’ within three sitting days of the expected rejection of her deal on Tuesday. Outraged pro-Brexit MPs who accused Mr Bercow of overriding the advice of his officials – and ignoring his duty to be impartial – will be infuriated by the appearance of ‘collusion’ between the two men. Mr Grieve, who has described a No Deal Brexit as ‘national suicide’, last night admitted visiting Mr Bercow in his Commons apartment on the eve of the drama, but denied having ‘suborned’ the Speaker into accepting his amendment. The former Attorney General refused to say whether the two men had discussed how his controversial move would be handled in the Commons. He said: ‘He was aware of the motion but I don’t discuss private conversations. ‘I often speak to the Speaker about all sorts of things. We’re fellow Buckinghamshire MPs. But I am not in the business of suborning Speakers. They make up their own minds. I tabled my amendment without speaking to the Speaker. Mr Grieve’s anti-Brexit campaigning has alienated many members in his local association. One said last night that chairman Santokh Chhokar had been ‘bombarded’ with letters of complaint. 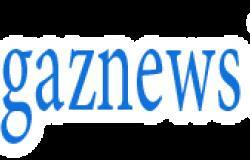 Asked if he had confidence in Mr Grieve, Mr Chhokar said all association matters were private.